With two Baby Boomers as your soap makers, it's not surprising that so many of our soap recipes focus on dry aging skin. When we started making our own soap 15 years ago, we developed recipes that felt good to us, loaded with so much shea butter that after a shower our skin felt like we had applied lotion rather than 'soap.' People in their twenties and thirties rarely need as high levels of shea butter in their products as those who are aging. But in our forties and fifties as we were creating our soap & skin care recipes we found we did - and still do! Tim is now 68 and Karen is 55. So although 'we make soap for every body', our shea butter soap recipes were created for those with dry skin. 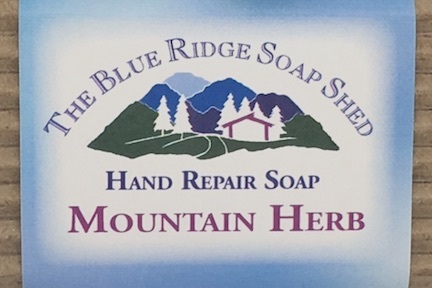 In fact, we created our shea butter hand soaps - the ones with ground medicinal herbs - for those with dry, cracked skin and/or peeling cuticles. Either recipe, smooth or with herbs, can be enjoyed as an all over body, face or hand soap. For even more fragrances to select from, you can't go wrong with our goat milk soaps loaded with olive oil, castor oil and goat milk which we feel leave your skin silky and smooth, especially good for those whose who struggle with dry, 'itchy' skin. If your skin is cracked or has dry, rough patches that never seem to smooth out, we believe you will be more satisfied with our shea butter recipe soaps. But as always, the most important thing is that you find the soap recipe best suited to YOU, what feels right for your skin. If you haven't ordered from us before, we encourage you to try one bar of our goat milk soaps and one of our shea butter soaps, so you can compare the two recipes and decide what feels good to you. The lather of either soap is wonderful, but different, and your skin may decide it prefers one over the other. Once you learn which soap recipe you like best, you'll have plenty of scents to choose from. As you may have seen already in looking at our pages, there is never a shortage of fragrances at The Soap Shed! If you have any questions, please feel free to click on the 'Contact Us' button in the menu above, and we'll do our best to guide you to the products right for you.